The European Crystallographic Association in close collaboration with the Spanish Scientific Societies interested in Crystallography, Crystal Growth and related sciences, invite you to Oviedo (Asturias) on the occasion of the 31st European Crystallography Meeting, to participate in the activities of ECM-31, to be held from 22-27 August 2018. The Local Organizers and the European Programme Committee, formed by crystallographers of the Special Interest Groups-SIGs and General Interest Groups-GIGs of the ECA, as well as the 5 focus area representatives are setting up an attractive programme covering the latest advances in crystallography and related sciences; an excellent and fascinating programme to attract young and senior scientists as well as companies and general public. With a total of ca. 50 half-day microsymposia and more than 15 keynote speakers and two plenary lectures, dealing with a large number of hot topics including biology, material sciences, chemistry, physics, crystal growth, mineralogy, methods, computing or instrumentation. Make sure you checkout the programme, and submit your abstract for oral or poster presentations, in order to share your scientific and technical results with your colleagues and to interact with the most relevant scientist in the field. ECM-31 will be a four-day effervescent and intensive scientific meeting with many learning opportunities in every current aspect of crystallography combined with a large commercial exhibition. In addition to the ECA council and the SIGs and GIGs annual meetings, there will be a special Young Crystallographers meeting, multiple workshops and user meetings, lunch meetings, and a wide social programme, which will allow scientists from all over Europe and the world to meet, connect, discuss and exchange. One extensive programme for accompanying people will be offered, with special attention to babies and children, with a specific programme of baby-care and children activities, including specially designed material, all along the conference. 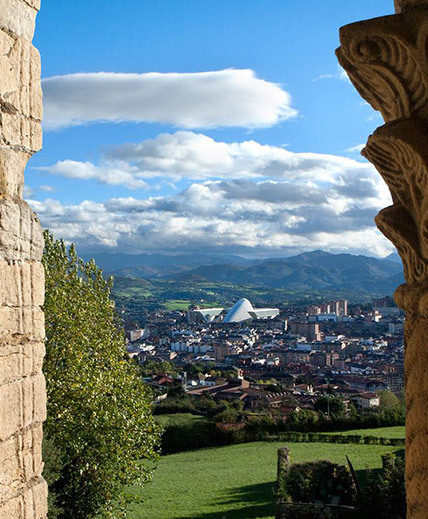 Asturias, and the city of Oviedo in particular, is an historical, active and organized city of open minded, hospitable and altruist citizens and it may be reached by air, train or car. Right at the north-west of Spain, south-west of Europe, in the heart of the celtic and roman cultures, is an important step in the Northern Way of St. James, “Camino de Santiago”, which European monarchs used to travel to Santiago during the Middle Ages and now many European and worldwide pilgrims, with the Cathedral of San Salvador, in Oviedo, as a key station. The recognized Princess of Asturias Awards are deliver every year, in a ceremony at the Theater Campoamor, with the presidence of Kings of Spain, to different specialties. Among the awardees were Sumio Iijima or Shuji Nakamura in 2008. Asturias shows one unique combination of sea and mountains within a few kilometers, with an extraordinary landscape, clean sand-beaches, mountains with unforgettable valleys and rivers and one remarkable and unbeatable gastronomy. In addition, the singular preromanesque architecture from 8th and 9th centuries and the multiple museums and cultural activities are ready to welcome you. So, while you’re in Asturias, you have the opportunity of combine the highest scientific activity, in a modern, spacious and central venue, with the flavor of one unique natural environment and a rich historical heritage, enjoying the splendid and surprising gastronomy and the beauty of Oviedo, Asturias and Spain.